With The Gossypium Era, Cold Fairyland leader Lin Di has produced her most personal and singular work to date. The scope of instrumentation is much reduced from her band work, with pipa, percussion, wooden flute, and vocals being the majority of sounds present, and those mostly arranged sparsely. 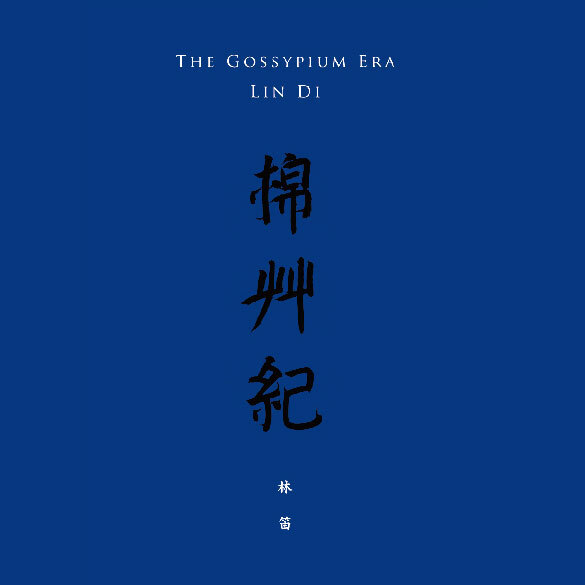 It is an album with a concept behind it, that it is a portrait of “not history or truth, but … the imagined universe of The Gossypium Era.” Lin Di calls forth a world where classic Chinese paintings are the settings for people’s lives. The result is a singular work of beauty, with flute fluttering above bubbly percussion like a butterfly above a mountain stream, melodies flashing like quicksilver over stark backing. Interestingly enough, the music does not sound specifically Chinese, in spite of the use of Chinese instruments — they’re used in non-traditional ways, so the sound seems detached from both time and geography. The percussion consists of various hand drums, shakers, and small cymbals, and is captured with startling clarity, so the sounds jump out of the speakers (or headphones). Only rarely are more than two instruments found with the percussion — usually it’s a single pipa, or two flutes, or a pipa and vocal. “The Sacrifice” is one of the most elaborate, with a pipa, a guzheng, two flutes, two wordless male voices, all backed by that amazing percussion. I should also point out that as beautiful as the music is, the book that holds the CD is also a work of art, with drawings and calligraphy to complete this portrait of an imaginary world. No, "complete" is too strong a word — the graphics evoke The Gossypium Era rather than representing it directly, much as the music does.